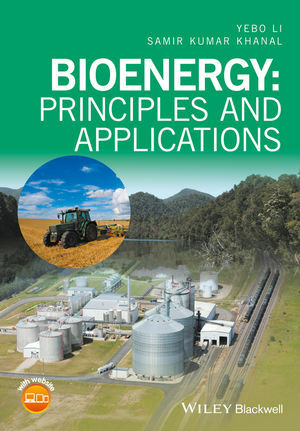 Bioenergy provides readers with an understanding of foundational information on 1st, 2nd, and 3rd generation biofuels. Coverage spans from feedstock production of key energy sources such as grasses, canes, and woody plants through chemical conversion processes and industrial application. Each chapter provides a thorough description of fundamental concepts, definitions of key terms, case studies and practical examples and exercises. Bioenergy: Principles and Practices will be an essential resource for students, bioengineers, chemists, and industry personnel tying key concepts of bioenergy science to valuable real world application. Yebo Li is an Assitant Professor in the Department of Food, Agricultural, and Biological Engineering and Director of the Bioproducts and Bioengineering Laboratory at the Ohio State University. Samir Kumar Khanal, PhD, P.E. is an Associate Professor of Bioengineering in the Bioenergy Research Group?in the Department of Molecular Biosciences and Bioengineering at the University of Hawaii-Manoa.